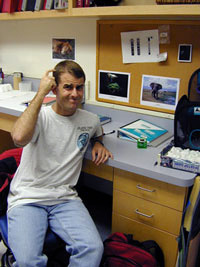 During summer 2003 I worked as a lab intern at Loma Linda University. 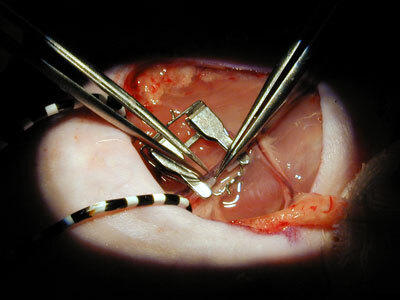 As part of my research training I learned some microsurgery techniques. 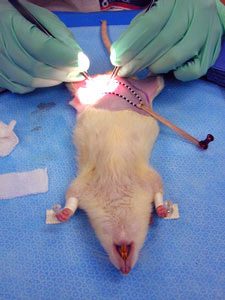 We opened up a live rat, cut an artery, and stitched it back together. Luckily, the artery worked when we were done. 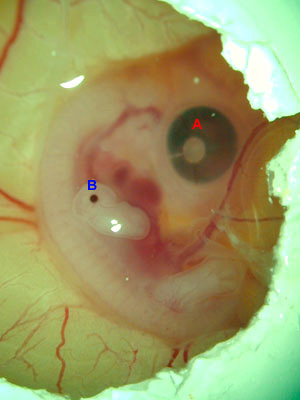 In the picture at the left is a clamp holding both sides of the artery to keep the rat from bleeding to death. The black and white striped thing is a special device (a bent paper clip) to hold the abdominal wall out of the way. Since I learned how to stitch, my friend Jonathan had me help him with his research. 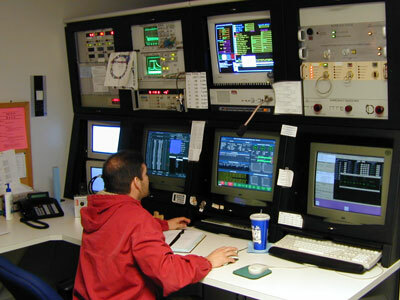 He is working with the University's new Proton Accelerator, a machine used for treating cancer. 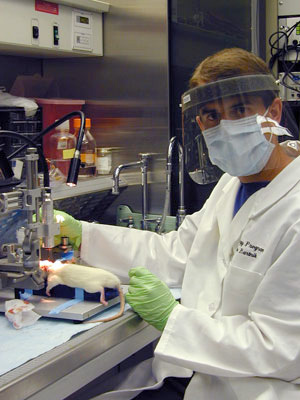 I helped him inject cancer cells into rats' brains so he can treat them with different doses of protons to see which dose is most effective. 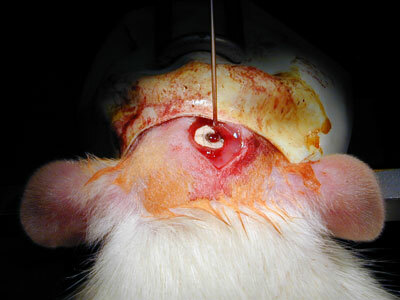 Here you can see the needle above the hole we drilled in this rat's skull. 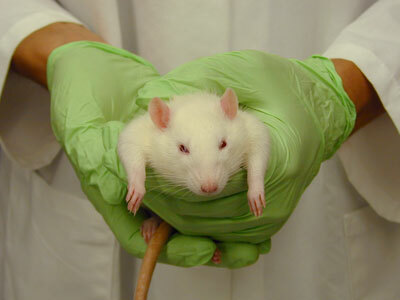 The rat's face is inside a special gas mask (made from a balloon) for keeping him exposed to the anesthetic (isoflurane). Note: Not all of the dark red stuff is blood. Some of it is iodine, an antiseptic. 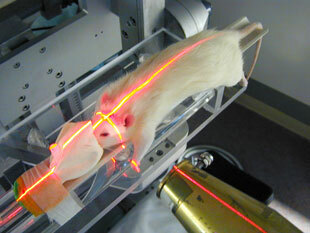 I also helped Jonathan treat the rats in his experiment with proton radiation. 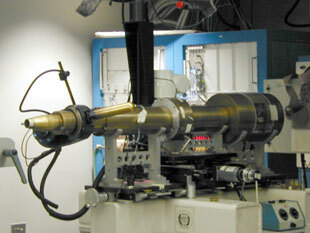 The brass cannon-looking thing is what guides the proton beam to its target. 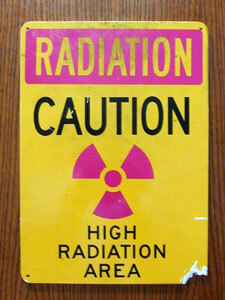 The red lines are from lasers - X marks the spot that gets bombarded with protons. 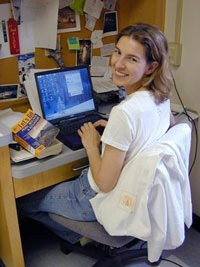 Shelley, the graduate student I worked with. 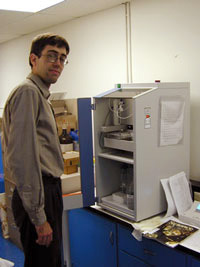 Lee (another grad student) and his favorite machine. Me, wondering what went wrong. 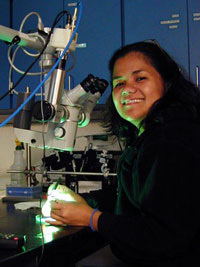 Charmaine doing microsurgery on a chicken embryo. 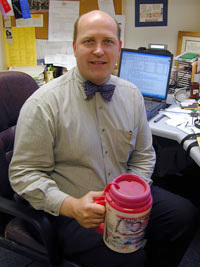 Dr. Oberg, the man behind the lab. 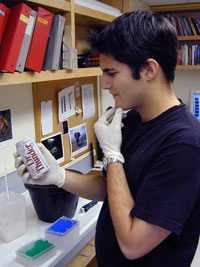 Rick contemplating his favorite lab reagent. chemicals that effect the embryo's development.